A flip-style case will protect all the parts of your expensive smartphone—from the housing to the display—but at the cost of making you a little slower on the draw when it comes to answering a call. 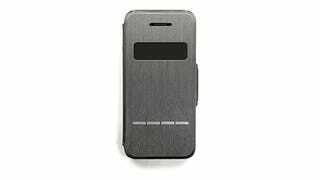 So to solve this 'problem' Moshi has created the SenseCover case which features a touch-sensitive strip on the outside letting you swipe to answer a call without having to open its cover. So how does it work? Moshi's obviously not too upfront about the case's secret sauce, but since the "proprietary embedded plates" are on the inside of the cover as well touching the display, the small electrical charge from your fingers must be passed through so that the iPhone's display still detects the gesture. Simple, but clever. 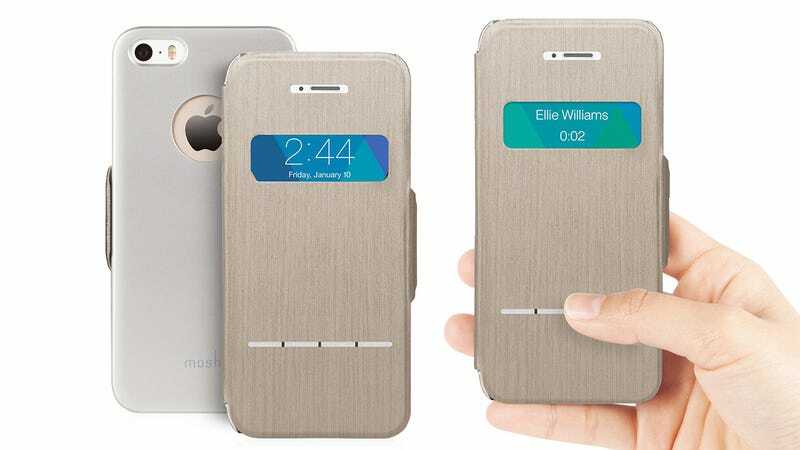 In terms of functionality it's similar to the S View case for the Galaxy S4. Except Samsung's solution has you swiping on a clear plastic window to activate the touchscreen below. And it will automatically unlock the S4 when the cover is opened, functionality that the iPhone unfortunately doesn't offer.